The future of the British monarchy looks brighter after a successful and popular royal wedding. Though less deferential and starry-eyed than 30 years ago, most people enjoyed this wedding for what it was: a big public occasion to celebrate something simple – two nice people getting married: Ipsos MORI monarchy poll. We love a day off and we love a big event. Couldn’t go wrong. So is the monarchy safe? How close Britain was to losing that connection between people and monarchy in the wake of Princess Diana‘s death, we will never know. I tend to think the risk has been exaggerated. The Queen’s authority was never really in doubt. What was in doubt then and has remained in doubt since is whether we want Prince Charles to ever become king. Given that Charles is heir to the throne, 46 per cent is a huge proportion of the population to object to his becoming king. It will not be lost on those advising the monarchy, though they may be tempted to hope that people will come round in time. I have my doubts. Nor is it a flash in the pan: this figure has remained fairly solid over time. So while the monarchy enjoys a renaissance, it also has a huge risk to its future to negotiate, in the person of Prince Charles. In the moment of the monarchy’s renaissance can be found jarring notes that must surely add to the case for Charles to let the crown pass straight to William. Charles apparently objected to the two most recent ex- Prime Ministers being invited to the wedding. There is some speculation as to why: that Cherie Blair did not curtsy to the Queen; that Charles blames Blair for asking the royal family to respond to the public in the wake of Diana’s death; that he is punishing Blair for the fox-hunting ban. Whatever the reason, as Simon Schama commented in the BBC coverage, it looks ill-judged. Especially when you look at the other people who did get invited: Serbian royalty anyone? Serbia doesn’t even recognise them, it’s a republic. Charles’s flaw is that he does not appear to rise above politics. This may be unfair – perhaps he is genuinely politically neutral – but the appearance of being somewhat clumsy with his political interventions has dogged him for decades. Several government ministers have testified to having to deal with his “suggestions” on matters of government policy. This irritates many now; it could be catastrophic for the monarchy if he continues in that vein as king. Monarchy survives in 21st Century Britain because it is accepted, or at least acquiesced in, by most of the public. It’s worth keeping, most of us feel: but it’s only because we, the people, want it. The Queen has been exemplary – but how will we react to a more divisive monarch? 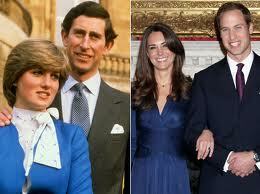 If William & Kate’s wedding put the Republican cause back 20 years, Charles’s accession could advance it exponentially. This entry was posted in 21st Century Britain, Media, Society and tagged BBC, British, Charles Prince of Wales, identities, Monarchy of the United Kingdom, politics, Reuters, Simon Schama, society. Bookmark the permalink.